Posted on October 17, 2016 at 2:01 pm. Sam Waterhouse was born on the 29th of August, 1879 in East Bierley, Bradford, Yorkshire. His parents were Lewis Waterhouse (30) and Martha Ann Waterhouse (31). Lewis was an iron joiner. Sam was the youngest of 5 children: Sarah G, Asa, Edith, and John William. The family lived in East Bierley for all of Sam’s youth. By 1891 Sarah had left home. Sam and John had by then taken up Worsted Spinning (which was pretty common locally), Edith did the weaving. Asa was apprenticed as a joiner. Lewis died in 1897, leaving Martha a widow. By 1901 Asa had left home, Sam was now a plumber and Edith was still a weaver. John worked as a tailor. Around 1906 or 1907, Sam married Clara Blatchley, she was 5 years his senior. In October 1909 they had their first child, Ida. By 1911 the three of them lived in East Bierley where Sam was a general plumber. They had moved to 7 Melville Avenue, Balby, Doncaster by 1915. In the Spring of that year their second son, Arthur, was born. Sam was working as a plumber still but on the 11th of December 1915 he was attested for the army. 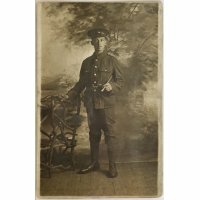 He wanted to serve in the West Yorkshire Regiment, it seems this was probably overridden and he was sent to the 23rd Battalion of the Durham Light Infantry instead. There is some confusion surrounding his service. It seems Thomson & Dixon applied for his exemption from service on the 11th of July 1916. 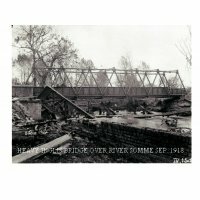 This was nearly a full month after he had enlisted on the 16th of June 1916. Despite the committee recommending he be granted a conditional exemption, he served the entire war as a Private. On the 17th of January 1917 he was caught neglecting his duty as a mess orderly, the very next day he was punished with a week of confinement to barracks. Probably because of his skills as a plumber, he was moved around a lot between different Area Labour Corps Employment Companies. In particular the 511th, 911th and 751st Authorities. 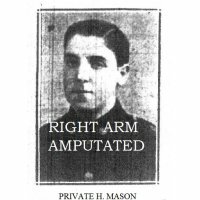 Being assigned to the labour corps may also have been due to his disability. The war had caused him a ‘debility’ which could have been any condition causing weakness, he was classified as 20% disabled. The army granted him a pension for the injury. He also received the Victory and Peace medal. 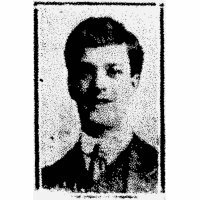 On the 1st of March 1919 he returned home. He would live at 7 Melville Avenue until at least 1948. Ida lived with her parents until at least 1939. It is not clear if Eileen Waterhouse is Ida by a different name, if so she lived there until at least 1948. There doesn’t seem to be a separate birth record for an Eileen Waterhouse. In 1939 Arthur Waterhouse served in the second world war, afterwards he lived at 7 Melville Avenue for at least one year; 1947.